It's beginning to look a lot like Christmas on Netflix! If Santa Claus was to check his list twice, after The Christmas Chronicles, Netflix would find itself firmly on the naughty list. Having successfully infiltrated Oscar season with Mudbound and the upcoming Roma, Netflix have tried to crack that other seasonal classic: the Christmas movie. Sadly The Christmas Chronicles is your standard Hallmark, Channel 5, Christmas Cookie Cutter, family movie which are ten-a-penny in December. With a plot as old as the jokes you find in a Christmas cracker, the film begins with a video montage of Christmases Past introducing us to Teddy and Kate Pearce: a brother and sister growing apart having lost their father while their mum works long hours at a hospital. Forced to stay in on Christmas Eve, burgeoning teenage delinquent Teddy agrees to help Kate get video evidence of Santa. After interference in Claus’s present delivery threatens to cancel Christmas, the three are forced to work together to save the day. 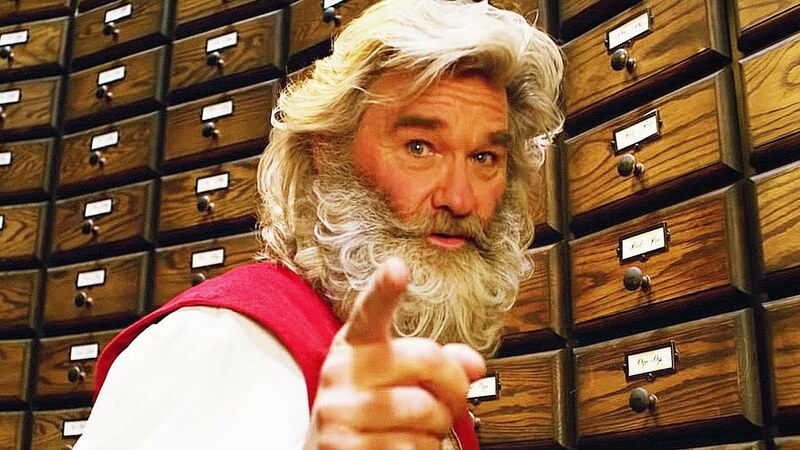 Speaking of saving the day, Kurt Russell is The Man Who Saved Christmas… Chronicles that is, from being a complete turkey with all the trimmings. As strange as it may sound, Santa Claus is a role that Russell seems born to play. His Old Saint Nick is like a stocking stuffed full of his most iconic performances. There’s the weariness of MacReady in The Thing, the wise-cracking nature of Jack Burton from Big Trouble In Little China and the facial hair of Hateful Eight and Bone Tomahawk. Oh and then there is his Elvis-inspired musical number! Therefore when Santa is separated from the children as the plot threads diverge halfway, every moment he is off screen is filled with the same feeling of disappointment of not getting that toy you wanted on Christmas Day. A famous elf once said that the quickest way to bring Christmas cheer is singing loud for all to hear. Safe to say that audiences probably won’t be singing the praises of this Christmas movie this festive season.